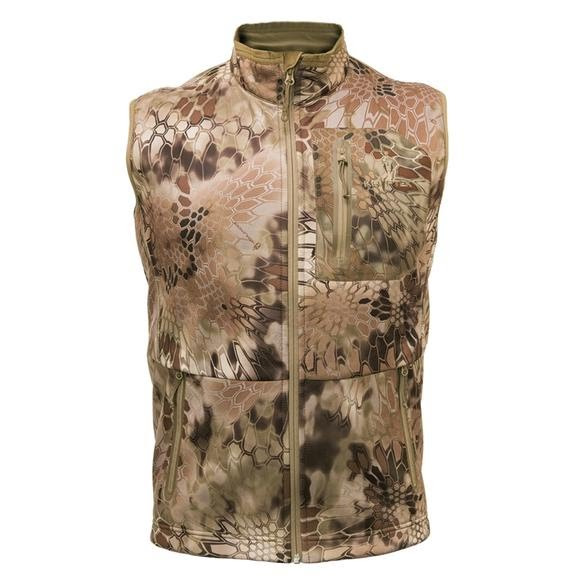 Kryptek Apparel's Cadog softshell vest provides maximum thermal regulation when body temperature control is crucial to stay warm, mobile and field ready. When the temperature is too warm for the softshell jacket, this low acoustic softshell vest delivers mapped ventilation and core warmth protection. Designed for cool-to-mild conditions. Kryptek Apparel &apos;s Cadog softshell vest provides maximum thermal regulation when body temperature control is crucial to stay warm, mobile and field ready. When the temperature is too warm for the softshell jacket, this low acoustic softshell vest delivers mapped ventilation and core warmth protection. Designed for cool-to-mild conditions.